Jacqueline Jordan, Nurse Practitioner, received her Master’s Degree, as a Family Nurse Practitioner, graduating in May 2014 from Russell Sage College. 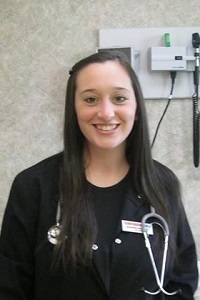 She originally came to Emergency One as a Registered Nurse in 2010. Jacqueline received her RN degree in 2010 from SUNY Ulster and her Bachelor’s degree in nursing from Russell Sage College in 2011. She has extensive experience in primary care, family practice and homecare. She is ALCS certified and is excited to be back in Urgent Care at Emergency One. In her spare time she serves on the board at the Mental Health Association of Ulster County.